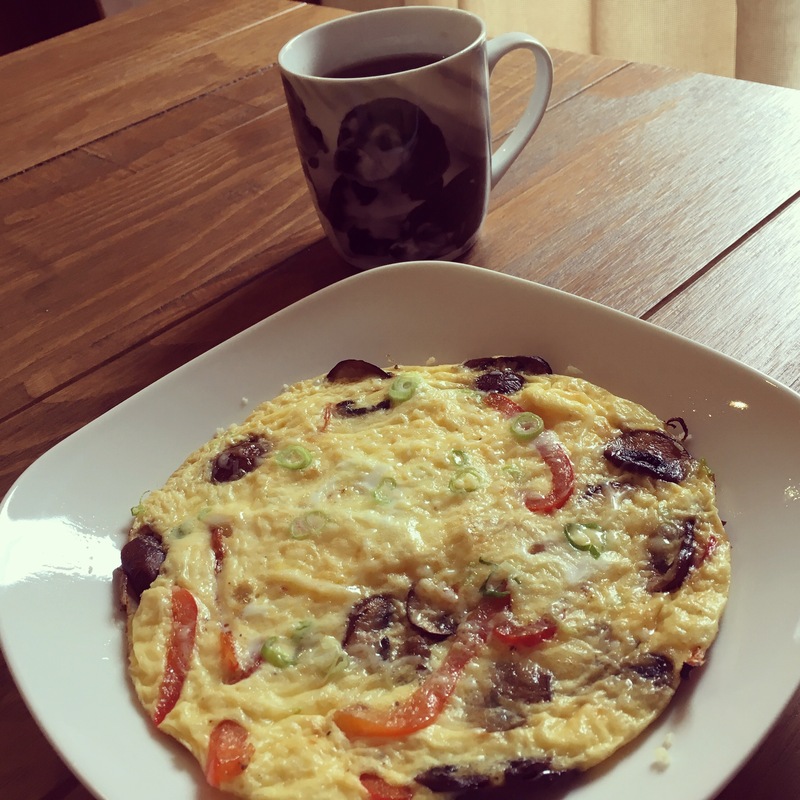 Thursday’s omelette 😊 red bell pepper, cheese, spring onion, mushrooms and black tea in my puppy mug. Yummy. Next Next post: Lunchtimes. Yum times.